'About Man Utd' provides comprehensive facts and stats about the world's 'biggest' football team. These are available via the About Man Utd iPhone / iPad App, downloadable from the iTunes App Store. The App gives details of every official competitive Manchester United fixture since 1886, with full facts and stats on players, managers, seasons and opponents. "Brilliant, brilliant app. Comprehensive data, superbly done and easy to use." "Just got the app ... it's immense. Simple to use and has everything." The App grew out of the 'About Man Utd' website which, for some years, provided similar information. 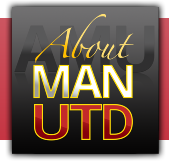 'About Man Utd' is an unofficial app and is not produced by Manchester United Football Club.